The Google Cloud Storage Platform offers durable and highly available object storage. With Google Cloud Storage, you can store and retrieve any amount of data, at any time, from anywhere on the web. 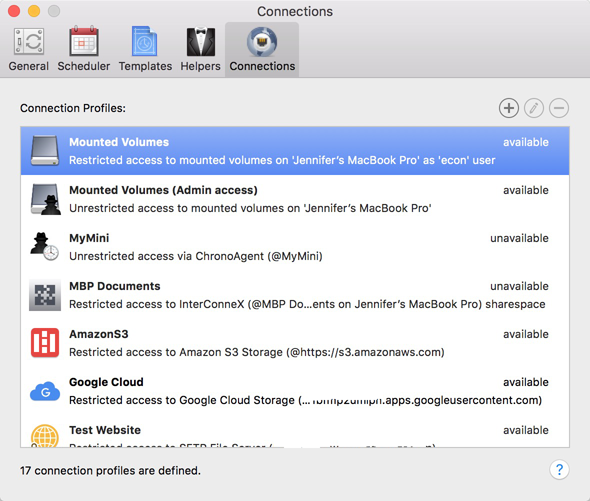 With the arrival of ChronoSync v4.7, connecting and backing up to Google Cloud Storage is quick and easy. 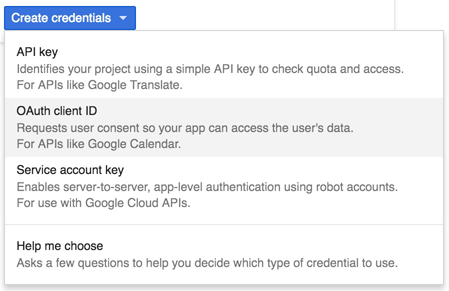 This guide will provide all the steps necessary to get you set up with Google Cloud and get your important data backed up to your own personal cloud. Go to the Google Cloud Platform website and click on "TRY IT FREE". At the time of this writing, Google will give you $300 to spend on Google Cloud Platform over the next 60 days. Log into your Google account. (If you don’t have a Google account, click on “Create account”). Fill out the ‘Try Google Cloud Platform for free’ form. You must provide your credit card/banking information. Accept and start your free trial. After signing up, you should be presented with an option to create a project. If so, give your project a name and click on “Create." If not presented with the option to create a project, click on the 3 horizontal lines at the top left to activate the menu. Click on “Create an empty project”. 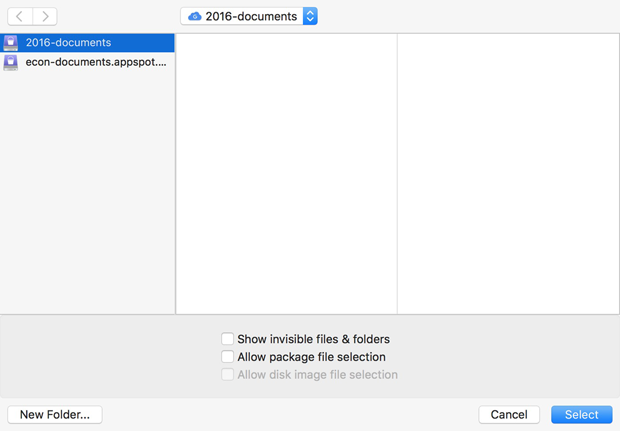 If you already have buckets defined that you wish to backup to, you can skip to the next section, RETRIEVE ID & KEY FOR CHRONOSYNC. A 'Bucket' is a container for objects stored in Google Cloud. You can create as many buckets as you'd like. 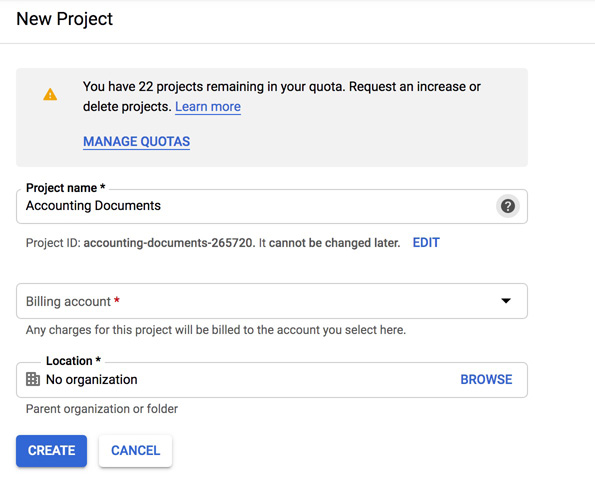 In ChronoSync, once connected to the Google Cloud service, you'll select one of your buckets to backup to. Open the menu and choose “Storage” from the Storage submenu. Make sure “Browser” is selected. Provide a name, storage class, and location. Google recommends that all bucket names comply with DNS naming conventions and need to be unique. We recommend using hyphens or periods in the name, e.g. “smith-fred-pics-graduation" or “smith.fred.pics.graduation". Google bucket name requirements. Click on “OAuth consent screen." Complete the necessary information and click on “Save." For “Application Type”, choose “Other." 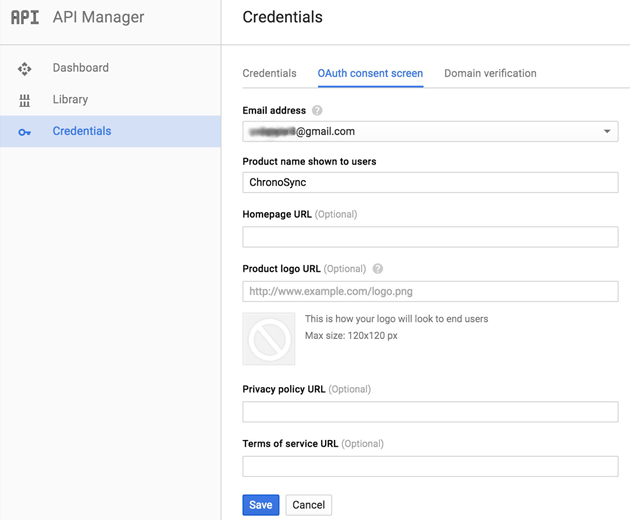 You are presented with your OAuth client information which is what ChronoSync needs to connect to Google Cloud. For the client ID, ChronoSync only needs the part up to the first period. Now that you have everything set up in Google Cloud, you can move over to ChronoSync and set things up so you can begin backing up to the Cloud. 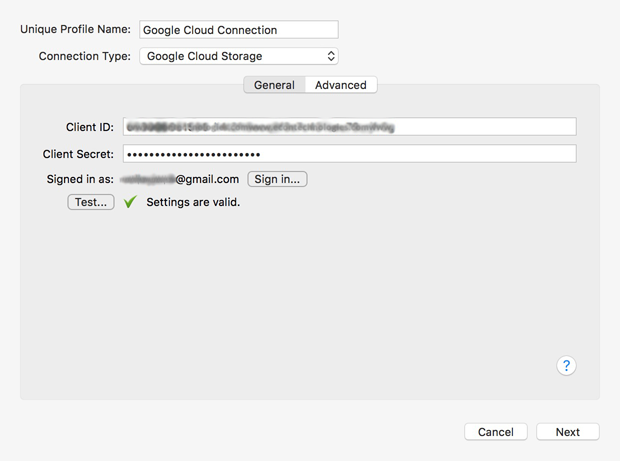 Follow the steps below to set up a Google Cloud connection profile. Once this is done, you can select Google Cloud as one of your targets and then back up to it. 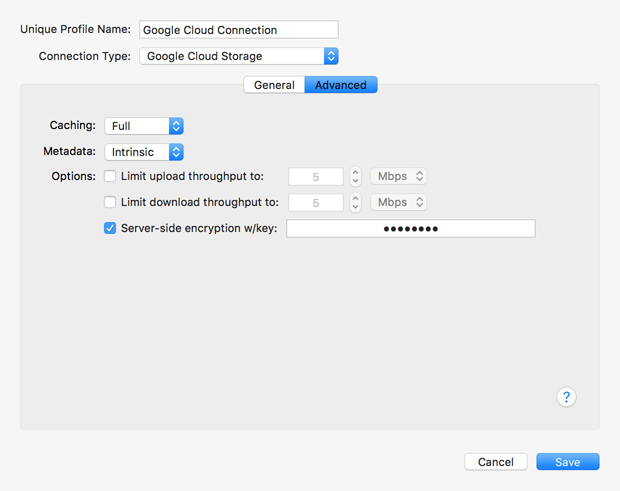 Choose “Google Cloud Storage” for Connection Type. 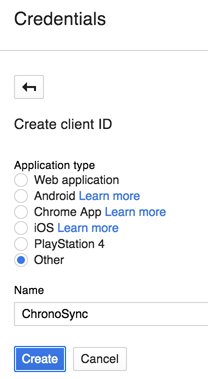 Use the Client ID (up to the period) and Secret Key you received in the Google Cloud Platform. Enter your Google email address and password to sign into Google. “Allow” Google to access information. Note: Gaining access to your information is part of the OAuth authentication scheme and it is Google, not Econ, that requires it. Now you’re ready to connect to it. 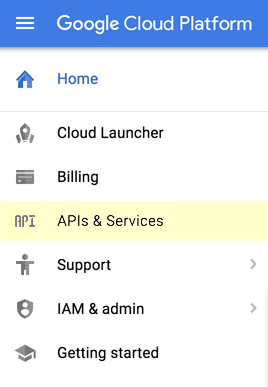 On the Destination pane, choose the Google Cloud connection you just created from the "Connect to:" menu. 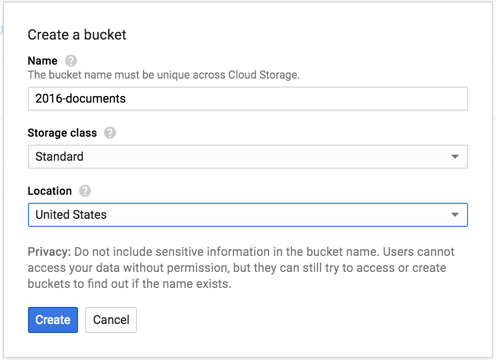 Click "Choose..." to select a bucket from your Google Cloud account. That's it! You have now backed up files to a Google Cloud bucket! 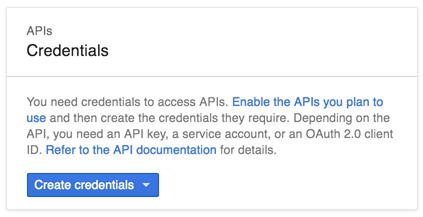 The Google Cloud website has documentation and forums in case you run into any problems with your account.